Watch full Naruto Shippuden Season 17 Episode 5 English Dubbed full HD online. Naruto Shippuden Episode 366 English Dubbed online for free in HD. Having been reanimated by Orochimaru, the previous Hokages immediately suspect the former to be up to his old schemes until he adds that they were brought solely to answer Sasuke’s questions. 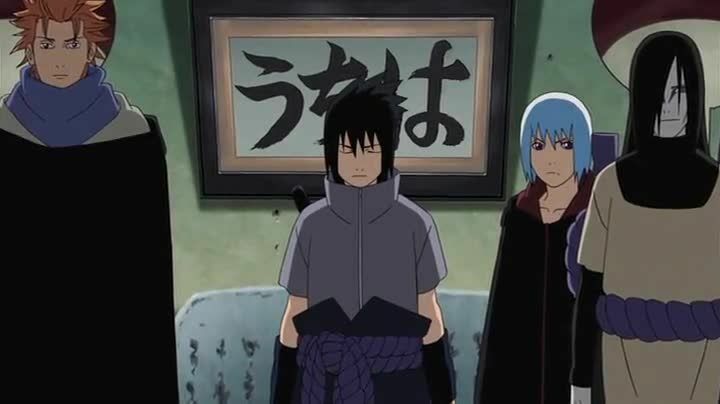 Sasuke wastes no time in getting Hiruzen to confirm the truth about Itachi and follows up by questioning Tobirama on the Uchiha clan, where the latter explains that the power of the Sharingan manifests when a clan member experiences deep emotional trauma, which in turn gives rise to hatred. Afterwards Orochimaru tells the Hokages of the ongoing war and when Tobirama tries to leave, Orochimaru threatens to use them to attack the Leaf Village if they fail to appease Sasuke’s questions. Afterwards Sasuke asks Hashirama to explain the concepts of a “village” and “shinobi”. Realizing that his answer would influence Sasuke’s actions, Hashirama decides to begin his explanation by recounting his final climatic battle with Madara at the Valley of the End.